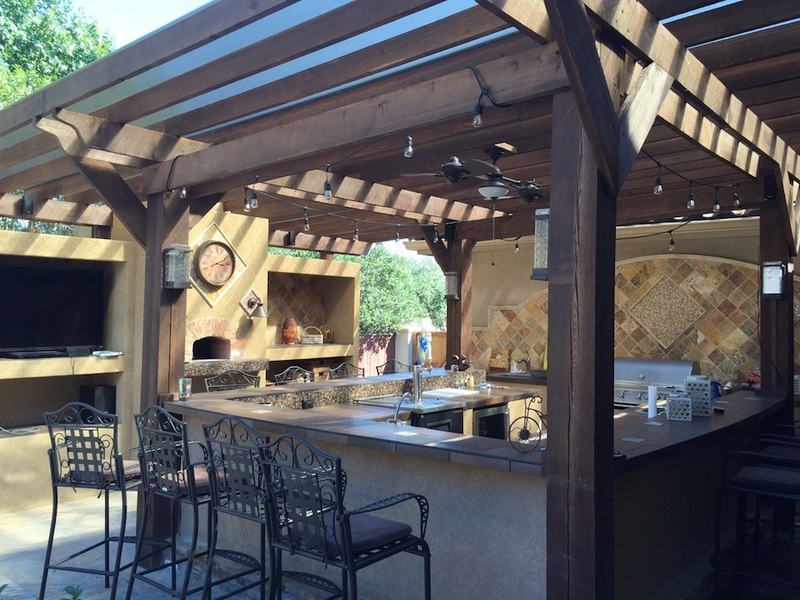 Designing an outdoor kitchen will not only provide homeowners with a lovely area to spend their time, but it will also enrich their overall home experience. Furthermore, owing to its popularity in the world of design, a stunning outdoor kitchen may even increase the value of a home at the time of sale. If a homeowner has decided to create their own cooking area for al fresco dining and entertainment, here are top eight tips for the perfect design. Since outdoor kitchen designs come in many shapes and forms, interested homeowners should start the planning with their needs and budget. They should come up with a plan that will cater to their everyday needs and also fit into the available budget. One should keep in mind that there’s a world of inspiration for outdoor kitchen designs that may exceed their budget limits, so it’s advisable that homeowners come up with a plan and stick to it. 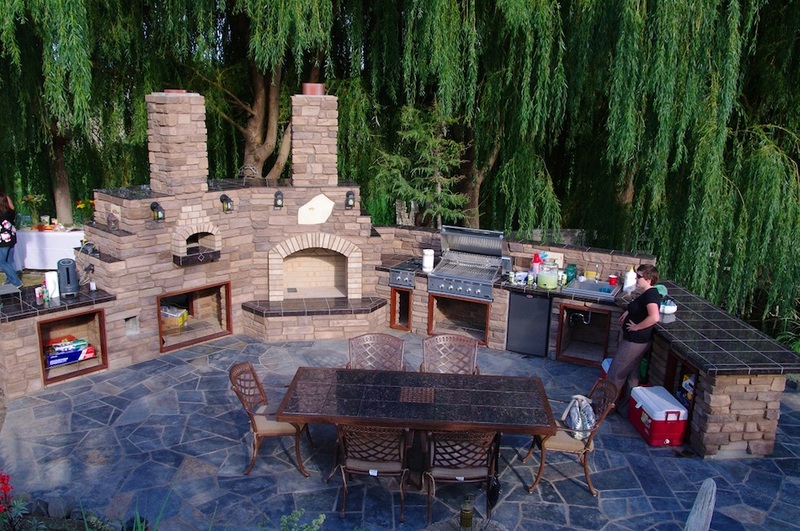 The location of any outdoor kitchen will also determine the type and layout of the design. Functionality and convenience are two important factors to consider when picking a location. Homeowners should find a spot that will be close enough to their home yet far enough so that smoke doesn’t get inside the house. Everyone should also be aware of all the potential hazards found in the kitchen, so they should make sure to keep it away from a high-traffic area in the backyard. Once the location is picked, the next step is to start planning the floor plan and layout of the outdoor kitchen. The best approach is to divide the outdoor cooking area into different zones. Homeowners would need a food and beverage storage space, preparation area, cooking zone and clean-up space. They can also add a bar or a kitchen island that can be used for both entertainment and food serving. These areas should be placed close to each other to ensure the functionality of any kitchen layout. The equipment is one of the essential elements of an outdoor kitchen. It’s important that a homeowner chooses durable and quality outdoor appliances that will withstand all weather conditions and be easy to maintain. Stainless steel appliances with innovative features are always a great option if they want to ensure maximum durability of their cooking area and enhance its visual appeal. When it comes to specific pieces of equipment, there is a need need to pick those that meet specific cooking needs. Nonetheless, some of the essentials include a cooker and/or a grill, a sink, and possibly a garbage disposal unit. The materials homeowners choose will greatly depend on the location they have picked and their budget. However, one should keep in mind that investing in quality materials is much wiser than skimping on them, especially if the planning kitchen is a permanent improvement. Homeowners should pick durable materials that will fit into the general home design. 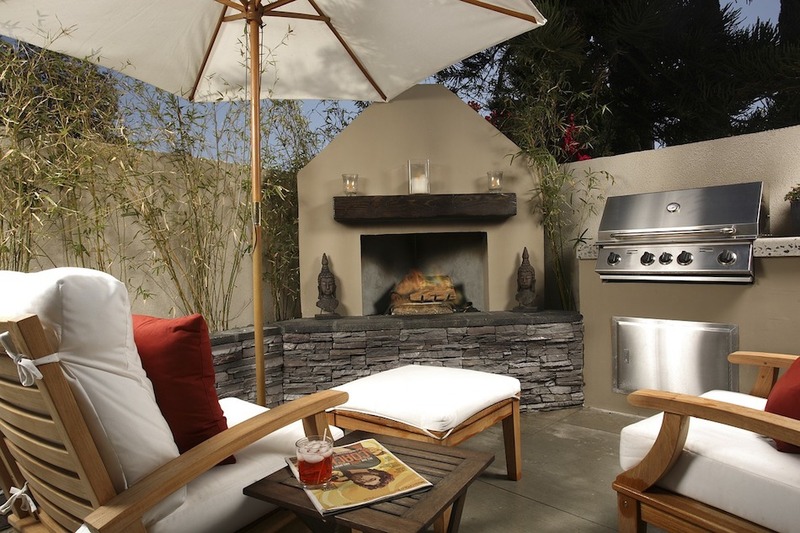 Brick and stone are both stylish and durable options for an outdoor kitchen. When it comes to wood, people should make sure that it’s sustainably harvested and protected from unfavorable weather conditions. A sleek modern design focuses on clean lines and minimalist decorations while a rustic outdoor kitchen will bring in wood and vintage details. Homeowners can also pick a nature-inspired outdoor kitchen with beautiful natural materials and accessories. Most importantly, they should pick a style that reflects their personal taste and complements the overall home design. The style they choose will help them design, furnish and decorate any dream outdoor kitchen. Inappropriate lighting is one of the most common mistakes that anyone can make when designing an outdoor kitchen. Not only will lighting create a welcoming ambiance, but it should also enable homeowners to slice and dice even in the evening. Task lighting is of the utmost importance for an outdoor kitchen. If the kitchen is located by the house, there can be wall-mount fixtures right above the cooking area. However, if the outdoor kitchen stands independently, one should install lamps or find some other practical solution. Cleanliness and organization are essential elements in any kitchen. One should make sure that their outdoor kitchen has an organized, structured look without clutter. Plenty of storage solutions will help homeowners keep everything in its place. As already mentioned, they should choose materials that are easy to clean and maintain in order to keep everything pristine. With these essential steps, any homeowner will be able to design a stylish and functional outdoor kitchen to add to their Leander home. All that is left is to gather friends and family and enjoy delicious food under the stars.